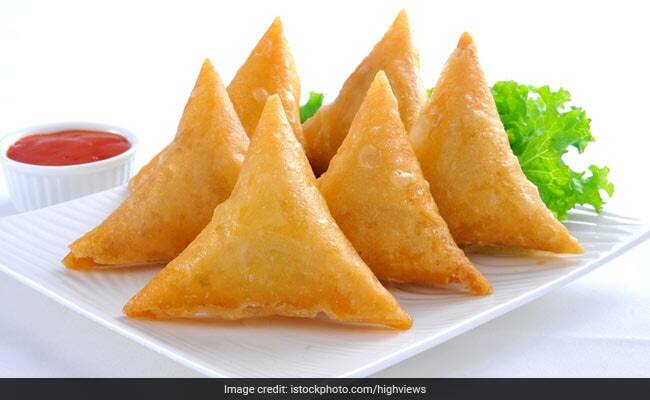 Popular Indian snack samosa with Kashmiri chilli chicken fillings has beaten chocolate, cashew nuts and other exotic entries in a first such contest in South Africa. Popular Indian snack samosa with Kashmiri chilli chicken fillings has beaten chocolate, cashew nuts and other exotic entries in a first such contest in South Africa. The contest was organised by the largest national newspaper for the Indian community in South Africa. Among the various entries in the competition were samosas that featured almonds and cashews drizzled with chocolate; chocolate covered in edible glitter; Margherita pizza filling and chicken jalapeno. The South African Indian specialty samosa (also referred to as samosa) is a deep-fried flat version of the traditional Punjabi snack, filled with a variety of savoury or sweet treats in a crispy pastry. Salma Agjee won the contest organised by the weekly Post, after her daughter submitted her recipe. "I love cooking and always believe in taking a recipe a step further by adding a twist to it," Agjee was quoted as saying by the newspaper. "My filling was my own invention based on what I had initially made as a chicken sandwich for my children. The chicken was cooked with Kashmiri chilli powder, then I added two types of cheese, mozzarella and gouda, and mayonnaise," she said. There were also two other sections of the competition, which was held at a public fair in Durban. Grandmother Roxana Naseem, 63, who has been running a samosa-making business for several decades, showed her skill to beat others by filling 10 samosas in less than 60 seconds in a neat stack. In the third section of the contest, Ebrahim Bux, 18, bagged the title of the 'fastest samosa eater' when he wolfed down 10 samosas in a minute.